Ainabkoi MP William Chepkut wants a review of the strategies KDF uses to fight terrorists as many of them have been killed in Somalia. Chepkut said on Saturday that the government needs to employ modern security strategies and equipment that will keep soldiers more secure. "North Rift counties of Uasin Gishu, Nandi and Trans Nzoia have the highest numbers of widows, whose husbands were KDF soldiers and members of other security agencies," he said. “Even America is fighting in Somalia without ground troops ... we need to device strategies that will minimise loss of lives." He spoke at Wounifer in his constituency after attending the burial of Duncan Kimutai, one of the soldiers killed in Somalia two weeks ago. Seven troops died when the vehicle they were travelling hit a landmine. Five were from the North Rift counties and three were buried at the weekend. Chepkut, however, thanked President Uhuru Kenyatta and DP William Ruto for helping the families of slain soldiers and finding jobs for some of them. “There are many cases that the President has followed up," he said. "We are indebted to the many young soldiers sacrificing their lives for the country." Kenya is among several countries that have contributed troops to the African Union Mission in Somalia. The others are Uganda, Burundi, Ethiopia and Djibouti. Uganda began withdrawing its soldiers in December last year. Police contributing countries are Ghana, Kenya, NIgeria, Sierra Leone, Uganda and Zambia. 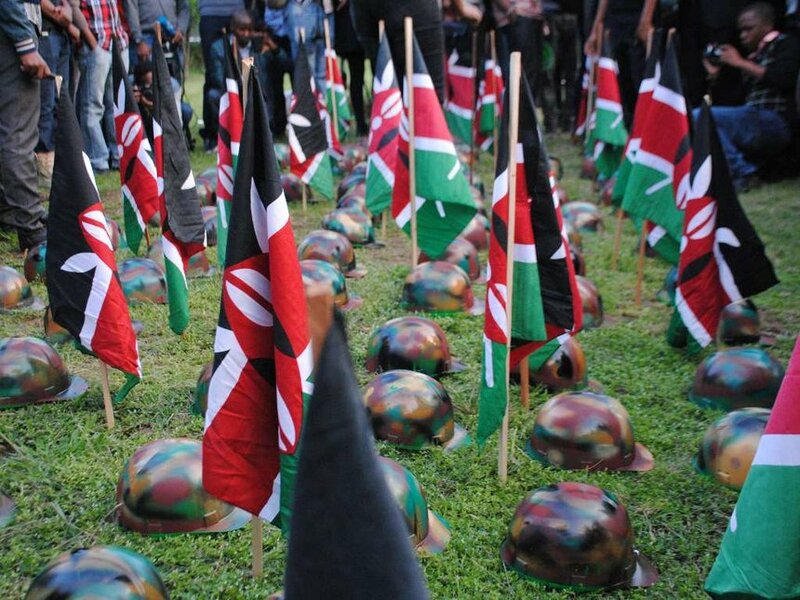 Following calls for Kenyans to leave the war-torn country, the President noted in March last year that KDF troops will remain there until peace and stability are restored. Uhuru noted that more needs to be done before a planned Amison drawdown and transition to Somali security forces next year.